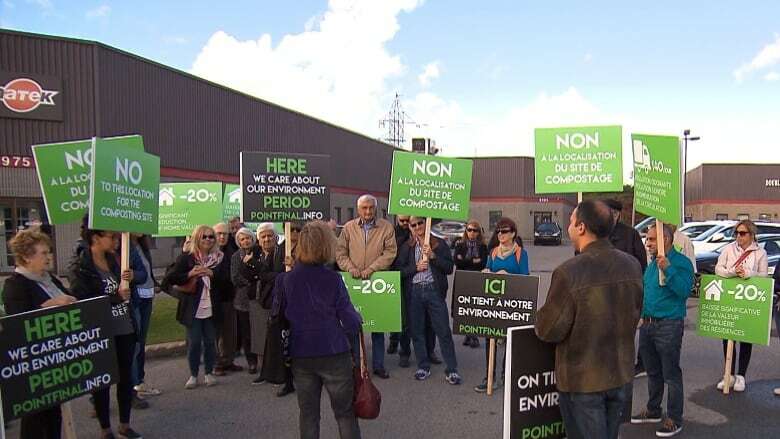 Some residents of Ville Saint-Laurent and Cartierville are sounding the alarm over a planned compost centre that's supposed to be set up on Henri-Bourassa Boulevard. Some residents of Ville Saint-Laurent and Cartierville are sounding the alarm over a planned compost centre that's supposed to be set up on Henri-Bourassa Boulevard next year. 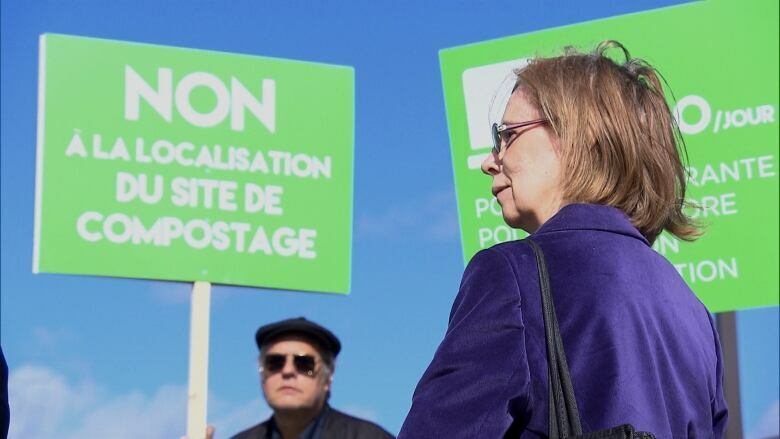 Anne Klein, who has lived in the neighbourhood of Saraguay for 37 years, helped organize a demonstration Saturday to show the citizens' displeasure. "I really think this plant is in the wrong location," she said. Klein said she felt there should have been an environmental study done, though she allowed that the city did study traffic, odour and noise issues before going forward. She feels Highway 40 and Henri-Bourassa will be congested by the additional routes from trucks transporting compostable waste to this centre, not to mention the concerns about a potential smell. The group of citizens that protested Saturday afternoon is concerned about the plant being too close to residential areas, and two nature parks. Klein said the group isn't against the idea of a compost centre in general, but they wonder why it has to be in their backyard. "It should be 500 metres away from residents, the habitats and from commercial [businesses]," she said. "Why choose this area? Why not choose an area closer to where it's going to be used? Why not choose an area in the countryside?" George Sarbanis, who owns a food manufacturing plant nearby, told CBC he worries about how the emissions might affect his bottom line. ​"As we filter the air into our building, [emissions] may alter our product — the taste of our product, the scent of our product — which is very delicate. That's our main concern," he said. The city says it's already considered these factors and has taken measures to negate inconveniences to locals. "The treatment plant will be enclosed, with a negative pressure, so all the waste will be kept inside," said Philippe Sabourin, a spokesperson for the City of Montreal. "And before leaving the treatment plant, all the tires from the trucks will be cleared properly." Construction of the plant is due to start next year.